Welcome to Alpha Charter of Excellence (ACE). 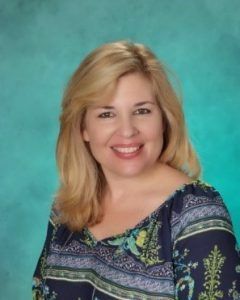 My name is Isabel Navas and I am so excited to introduce myself as Principal of Alpha Charter of Excellence (ACE). I was given the opportunity to open this school 6 years ago and have been the founding principal ever since. This is a school full of dedication to excellence, but more importantly to children. I have worked as an Administrator for the past 13 years. However, my most precious duty is to spend time with the students, getting to know their personality and at the same time encouraging them to achieve beyond their belief. I will continue to motivate them daily and let them know they are valued in our school. I am very proud of our dedicated and passionate faculty. These excellence educators work hard to ensure all students are achieving their potential goals and feel welcomed in the educational environment. Our teachers spend hours planning and creating classroom activities to engage the students in learning. They utilize research-based best practices and analyze academic data to determine current skill levels and set goals. We believe that all students can be prepared for the future and become effective citizens. I am delighted to welcome you to our fantastic elementary school. We are looking forward to a productive partnership with the community. I recognize that in order to be successful, our children need support from both the home and school. We know a strong partnership with the community and with parents will make a great difference. Our extraordinary ACE staff and I feel privileged to be a part of this school family. I thank you for your support and look forward to another successful school year 2018-19!